When you start with a blank canvas, whether it literally is a blank canvas, or a blank screen or a blank garment or mug, there is usually at least one moment of “oh no, what do I do now?” that occurs before you start. People who are familiar with this phenomenon often try to combat it by keeping a stash of ideas on hand. While that’s a great idea, the trick then becomes building that stash of ideas so they’re ready and waiting when you need them. Today I thought we could talk a little bit about where and how to find ideas and inspiration. 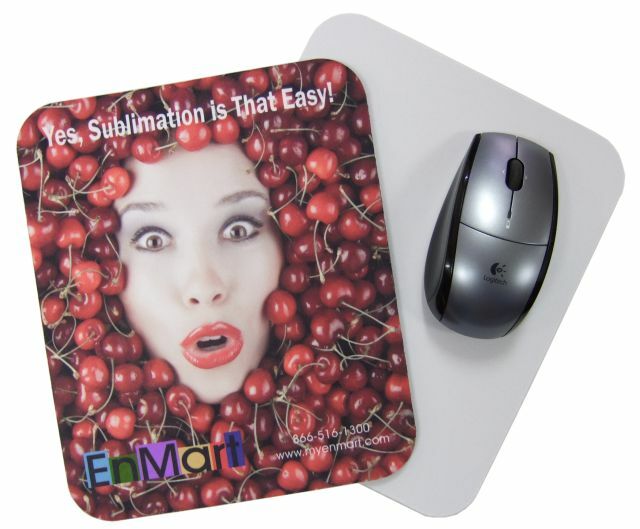 One way to find inspiration for your sublimation projects is to see what other people are doing. Visit Sawgrass and check out their webinars. Check out a forum like T-shirt Forums of the Apparel Decorators Forum. Look for videos online that will teach you how to sublimate a new product or will show you a new technique. While we would never recommend copying what someone else is doing exactly, seeing what other people are doing is a great way to spark your own creativity. Another way to find inspiration is to take a field trip. Erich Campbell mentioned this option in a post he wrote for Stitches earlier this year. He recommends going to the mall, and it’s good advice. You can spend time seeing what sorts of sublimated products are out there, and you can also see what other decorators are doing with them. As an added bonus, going to a place with multiple stores allows you to get an overview of a variety of trends. Keep in mind field trips can also be to places like museums or simply to a nearby lake or woods. The aim of a field trip is to get some new images and textures to add to your library, so take a field trip to whatever place you find most inspiring. Perhaps the best way to figure out how to fill that blank is to experiment. Find artwork you like and test it out on various blanks to see how it looks. Buy some cheap polyester fabric and sublimate various designs before you put them on the more expensive blank items. Find a sublimated item that you really like the look of, and try to duplicate that effect or look on a blank piece of your own. While it’s true there will probably be a bit of product waste, and certainly spend some time on this endeavor, the result will be an enlarging of your sublimation options and a bigger fund of ideas from which to draw next time a customer wants something spectacular but doesn’t know exactly what they want to do.